Twenty years ago, I arrived in Morocco as the new U.S. Ambassador. It was the beginning of a close-up view of the changes going on in Morocco for the next two decades. During my first meeting with King Hassan II, shortly after my arrival, he wasted no time in addressing Morocco’s agenda with the United States, challenging me on our nation’s positions, especially in regard to his Kingdom’s existential issue regarding sovereignty over the Sahara. This unexpected candid and warm exchange set the tone for regular meetings throughout my tenure during which concerns and grievances were voiced in private, rather than aired publicly. King Mohammed VI would continue this practice with me after his father’s death. My first few months in the country also coincided with the beginning of the first government of Alternance, led by opposition leader Abderrahmane El Youssoufi—a watershed moment for Morocco that many political analysts mark as the beginning of significant democratic reform and economic liberalization in Morocco after years of a strong-armed approach to governing and limited civil rights. Abderrahmane El Youssoufi, whose political activities had previously resulted in two years in jail and then 15 years of exile, became Prime Minister after his party, the Socialist Union of Popular Forces (USFP), won the most seats in the November 1997 elections. Since then, the international community has confirmed Moroccan elections as occurring in a fair and transparent manner. In 1998, the unemployment rate in the country was 17 percent and growing, with youths making up a disproportionate percentage of the population. Women lacked equal rights with men. The percentage of the population living at or below the poverty line for lower middle-income countries was around 28 percent, and more than half of the entire adult population was illiterate, with rates among rural women much higher. Electricity in the country reached only around 60 percent of the population, and almost a quarter did not have access to potable water. Infant mortality rates were 23 percent higher than the regional average, and maternal mortality ratios were nearly double the regional average. Overall, the micro-economic picture was in dire shape. The economy was too dependent on agriculture, accounting for 20 percent of gross domestic product (GDP) and heavily reliant on rainfall. Infrastructure was lacking throughout the country, and environmental degradation was widely apparent throughout the cities and the countryside, presenting a challenge to the growth of tourism. Of particular note, the northern part of Morocco was completely neglected after a series of militant actions created an irreparable rift between King Hassan and his citizens there. In contrast to the micro-economic indicators, by 1998 King Hassan had established a strong macro-economic climate: a low ratio of debt to GDP, a low budget deficit and an open, competitive economic system. He adopted International Monetary Fund (IMF) and World Bank reforms that, had Morocco been a member of the European Union, would have qualified it for inclusion in the Monetary Union. Upon his death in 1999, King Hassan left the country unified, with a very strong nationalistic belief in country and King, a reasonably performing economy and, most important, with a solid commitment in its support for U.S. objectives regarding counterterrorism and economic openness, and in promoting peace in the Middle East. Twenty years later, where is Morocco today? Where is it headed tomorrow? Upon ascending to the throne in 1999, King Mohammed VI immediately gave a clear indication of his vision for reform and equality for all Moroccans, stating in his first public speech in August of 1999, “How can we talk about the progress and development of society when women who constitute half of this society are being denied their rights? Our true religion, Islam, has granted them rights that are not respected. They are equal to men.” By 2004, Morocco had passed one of the most progressive family codes in the region, the Moudawana, putting women on equal footing with men in regard to children and divorce. Also in 2004, King Mohammed established the Equity and Reconciliation Commission to reconcile victims of previous human rights abuses, providing a public forum for victims to make their case and receive compensation. In 2005, a massive anti-poverty program, the National Initiative for Human Development, was instituted in 600 of the most vulnerable poor areas of the country and city districts to increase job creation and provide adequate social services for the most vulnerable of the population. The poverty rate in Morocco now stands at 15.5 percent, indicating a reduction of nearly 50 percent since 1998. The per-capita income in Morocco has nearly doubled during this time, as well. 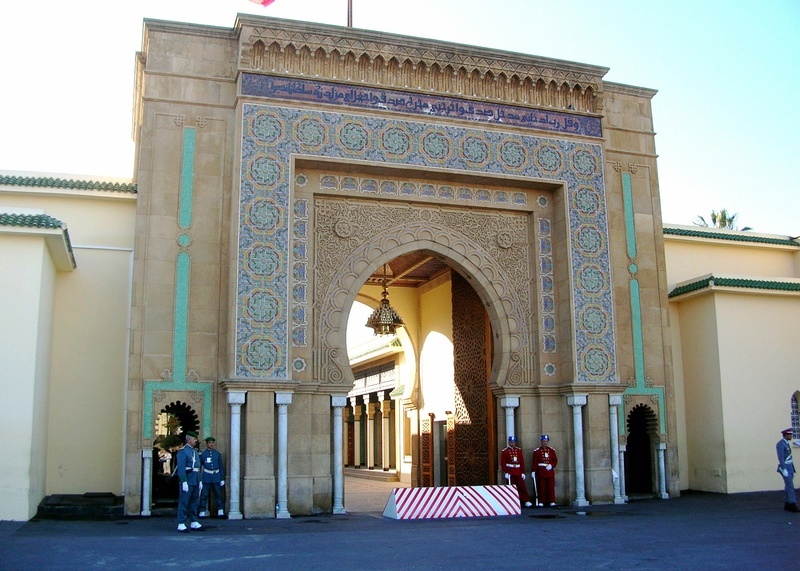 King Mohammed also took great efforts at rapprochement with the north of Morocco, indicating his intentions early on with his first official visit as King to Tangier, in September of 1999—the first visit by a Monarch in nearly 40 years. These efforts have paid off. Rapprochement brought the establishment of economic zones, port and highway infrastructure and tax incentives. With these and other measures, the north of Morocco has undergone an economic renaissance, and it is now a hub for auto, aeronautics and renewable energy manufacturing. And although youth unemployment is still problematic, the overall unemployment rate is now around 10.4 percent, nearly 40 percent less than it was in 1998. Infant and maternal mortality rates have been cut in half. Electricity reaches 98.9 percent of the population, and more than 85 percent have access to potable water. The birth rate is among the lowest in the region and is now comparable to rates in Europe. Morocco even has a new law that protects the civil liberties of migrants, making it one of the most progressive countries in the developing world on this issue. And today, while there is still work to be done, after concerted efforts Morocco has improved literacy among adults to around 70 percent, with rates reaching over 90 percent among youths and even higher for those under 15 years old. The cities are cleaner, with advances in waste collection and disposal. By 2030, Morocco aims to generate 50 percent of its electricity from renewable sources, making it a global leader on the environment. Tourism has increased five-fold since 1998. The country has undergone an incredible transformation after years of serious efforts to modernize and expand its infrastructure, upgrading roads, ports and airports to support its goal of becoming a commercial crossroads between Africa and the West. In line with these efforts, Morocco and the United States concluded a free trade agreement in 2004, and last year, Morocco reestablished its relationship with the African Union and many of its members following a 33-year absence. Macro-economic rates, strong under King Hassan, remain strong today. Agriculture still accounts for a large percentage of GDP at 13.6 percent, but that marks a 32 percent decrease from when King Mohammed assumed the throne, and a substantial amount of the production is now irrigated, reducing reliance on rain. New highways now connect most of the major cities in Morocco, and a new high-speed train from Tangier to Casablanca will begin service in 2018, cutting travel time between the two cities by more than half, to just over two hours. When I arrived in Morocco, the bilateral relationship with the United States was at a low point, largely due to the lack of public support for Morocco on the Sahara issue. The United Nations was extending its MINURSO mandate overseeing the dispute for only a few months at a time, constantly prompting U.S. criticism of Morocco regarding the two countries’ differences on this issue. Following discussions and agreement with Morocco in 1999, the United States proposed a new policy, which offered a political compromise to support an internationally accepted framework of autonomy under Moroccan sovereignty. By 2007, the United Nations and the United States were describing a new Moroccan sovereignty-autonomy initiative as serious and credible, and later, then-Secretary of State Hillary Clinton called it “realistic.” The United States has since begun to fund Morocco to provide countrywide programs, services and economic growth initiatives that include the Saharan regions. This, more than anything else, has solidified the relationship between our two countries during the past two decades. Today, as I look back, I realize I’ve had a front-row seat to Morocco’s internal and inter­national evolution over the past 20. Morocco has come a long way, although more still needs to be done: addressing youth unemployment; improving education and creating jobs; tackling corruption and weaknesses in regard to the rule of law in both the public and private sectors; enforcement of existing laws; and dealing with ongoing government inefficiencies. In particular, there is a need to work for a greater convergence of the ambitious sectorial strategies launched and currently implemented so as to maximize their impact at the micro levels. The country has to tackle the issue of decentralization of the governance of the country, particularly in the Sahara, and it has to do so with a priority emphasis on women and those regions that are the poorest. Perhaps most important, there is a need to insert the youth into the economy through effective education and job training programs. It is obvious that Morocco is moving steadily forward, albeit at its own pace. It is a delicate balancing act as the King moves cautiously to make Morocco a more open and modern leader among developing countries. Change that comes too quickly could expose vulnerabilities and create an opportunity for those who wish to destabilize the country, terrorists among them. On the other hand, too slow a pace could cause Moroccans to rise up and demand change at a more striking rate. The United States should be cognizant of this challenge and seize the opportunity to work in partnership with Morocco as it finds its “sweet spot” for movement and change, as it is in America’s interest to see this Arab country remain stable and grow increasingly more prosperous and democratic.